It was party time for Chinese giant panda cubs Jia Panpan and Jia Yueyue as they celebrated their first birthday at the Toronto Zoo. Zoologists and officials from both countries attended the celebration. 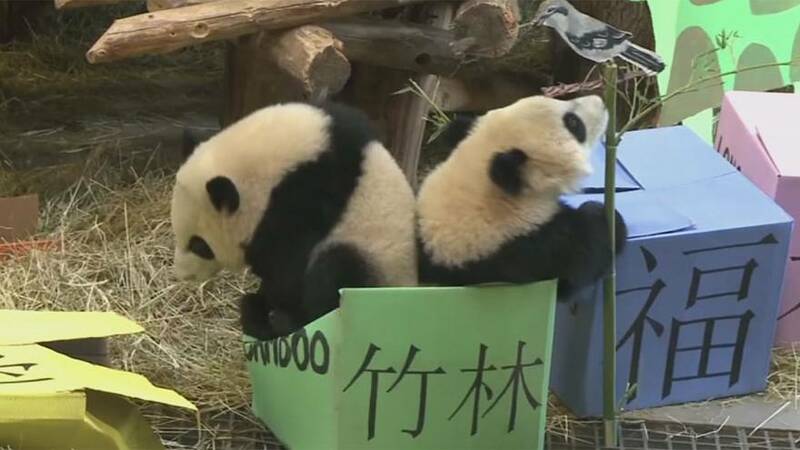 In accordance with the Chinese custom for one-year-old babies, the zoo arranged four boxes with four Chinese characters “Lu (money),” “Fu (happines),” “Shou (life),” and “Zhuzi (bamboo)” on each box to let the cubs to choose one. According to the bilateral agreement, both Jia Panpan and Jia Yueyue will return to China in four years. Jia Panpan and Jia Yueyue were delivered by the female giant panda Er Shun from China on Oct. 13, 2015 in Toronto.